Phil has worked in the Civil Engineering industry for over 40 years. Starting in Local Authorities at the tender age of 15, Phil obtained a broad grounding in all aspects of municipal engineering. As his career progressed he specialised in all drainage services, from construction, hydraulic modelling to computer based asset management. In the early 90's Phil joined an international consultancy as an Associate but quickly moved to Regional Director for the Water Division. 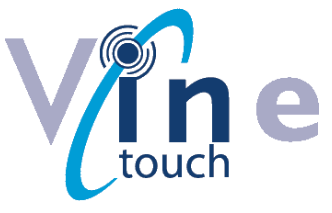 In 1995 Phil formed Vine Technical Services and has been instrumental in the growth of the Company to its present size. Avril started her career working in Local Authority Building Control and after a few years break to have children formed Vine Technical Services as a Partnership along with her husband Phil Bird in 1995. Avril has a broad knowledge base gained from working within the housebuilding and infrastructure industries, she has also lead teams capturing and verifying water and sewer data for a number of Water Authorities and performed mediating roles where developers and Local Authorities have reached an impasse with regards to Highway agreements. Avril has been involved with a number of local causes including being a Parish Councillor for over Ten years and selling poppies for over twenty years, she also shows and judges Gundogs and is on a local Canine Society Committee and helps organise both shows and a prestigious black tie event celebrating the highest winning dogs in the East Anglia. Rosina joined Vine in 2008 as an Admin Assistant, a position that she held for 2 years before taking on additional responsibilities as Assistant Business Support Manager - It was in this role that she developed her skills within finance and led to her eventual roles of Accounts & Finance Manager and finally, Finance Director. Rosina has recently completed level 4 of AAT and has now begun training towards Chartership with CIMA.